Bus lanes across the city are set to revert back to seven days a week to speed up public transport across the Capital. Councillors agreed to listen to concerns of bus operators, meaning cars will be banned from bus lanes between 7am and 7pm throughout the week, subject to a public consultation. A review of the city’s 2,500 bus stops will also take place to speed up journeys. The review will be subject to a full public consultation and a “recognition of equalities issues” after concerns were raised about people with mobility issues possibly having to travel further to bus stops. The authority will also investigate enforcing bus lanes with cameras to prevent motorists using them to jump queues. Cllr Chas Booth, Green spokesperson for transport, who proposed the amendment to consult on extending bus lane hours, said: “One of the most important ways to encourage people to use our buses is to ensure that they’re quick and reliable and effective bus lanes can deliver that. Conservative Cllr Nick Cook called for consultation over how businesses receiving deliveries could be impacted by the increase of bus lane hours. The council stopped seven-day operation of the bus lanes in 2016. 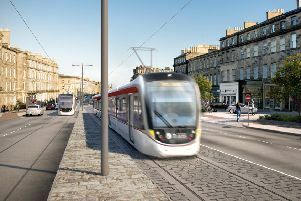 A spokesperson from Lothian said: “Congestion is increasing significantly within Edinburgh and the Lothians, creating slower running speeds and longer journey times which has resulted in a decline in customer usage. This needs to be halted and decisive action needs to be taken.